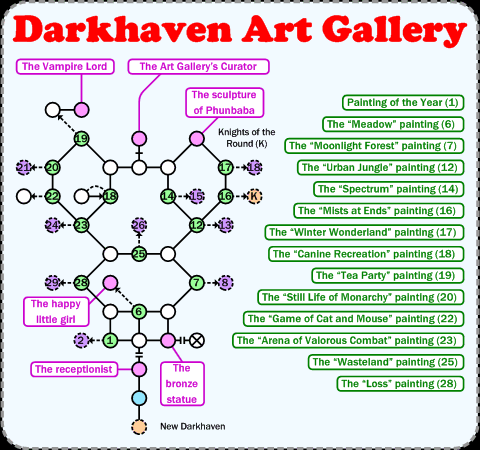 The Darkhaven Art Gallery, the most varied area you'll ever see. 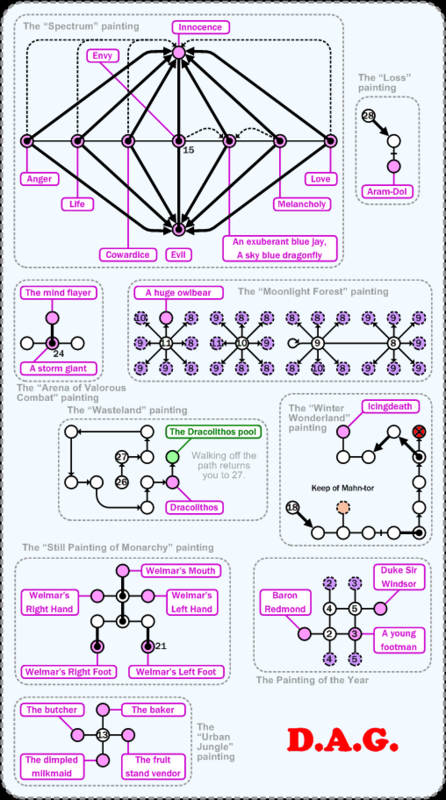 It plays host to many wonderful small ideas as well as a big shortcut to Knights of the Round. Mobs of note are Dracolithos and Icingdeath. Walk ( 4s, w, n ) to get from DH to the room marked in blue on the first image.